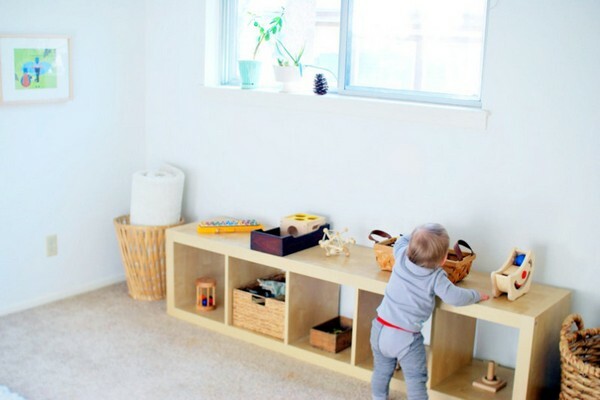 Babies absolutely need an activity zone in the room, where they can run, jump and play active games. As a rule it’s arranged in the center of the room and is highlighted by means of a warm and soft carpet, which is not necessarily big. 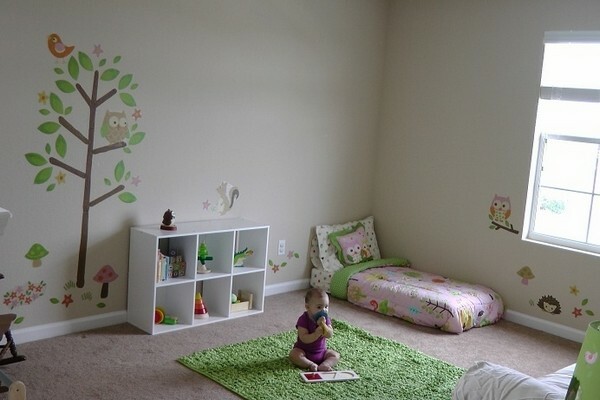 As children are growing up, it’s necessary to add a chair and a table to this zone. 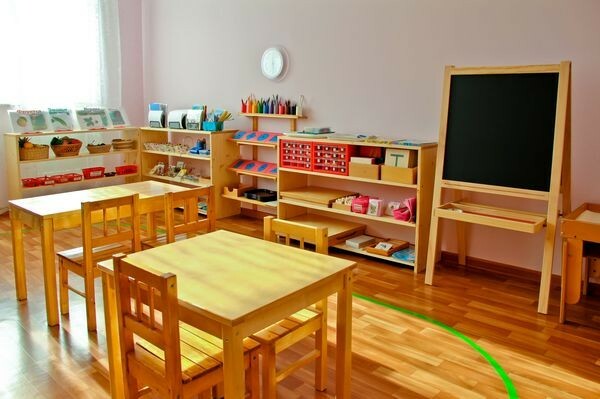 One of the golden rules of Montessori-inspired interior design is the use of exclusively natural materials. Thus, furniture must be made from wood (softwood veneer, alder and maple will do as well and they are not very expensive), curtains must be cotton or linen, and the carpet – 100% wool or cotton as well. Don’t underestimate the sense of touch – kids learn plenty of new information exploring different textures and materials. 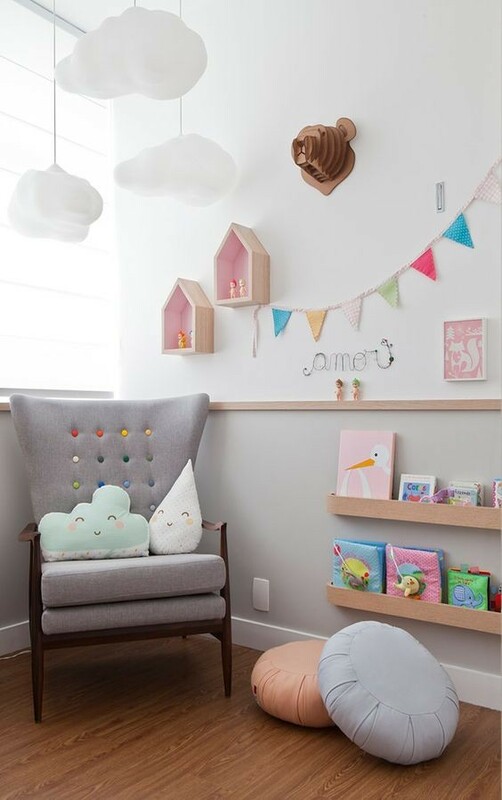 So, let the natural materials you selected for the playroom be diverse – soft blankets, cork flooring, paper wallpaper, wood modular furniture and knitted plaids develop child’s experience. 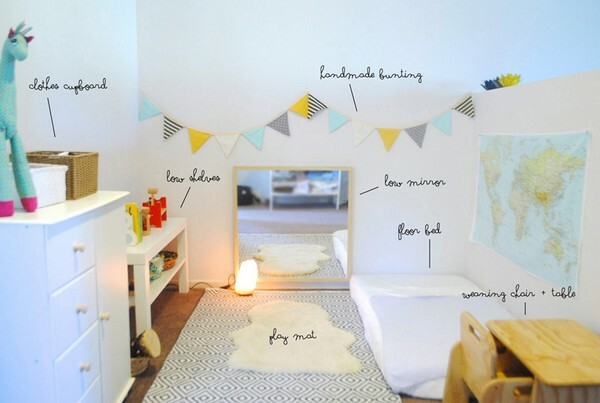 Don’t be afraid to diversify the surroundings of your baby with versatile textures. 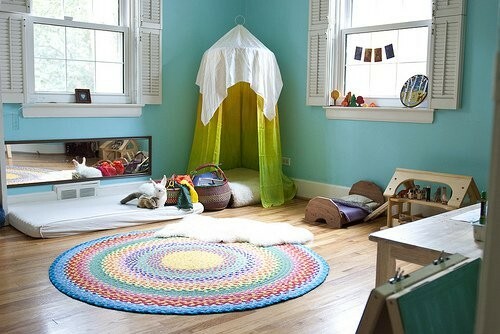 Aesthetic component of interior design is also important as it develops toddler’s good taste and desire for beauty. It’s preferable to decorate the walls with light and simple pictures of landscapes, animals, birds and insects. And craft materials must be always at hand. 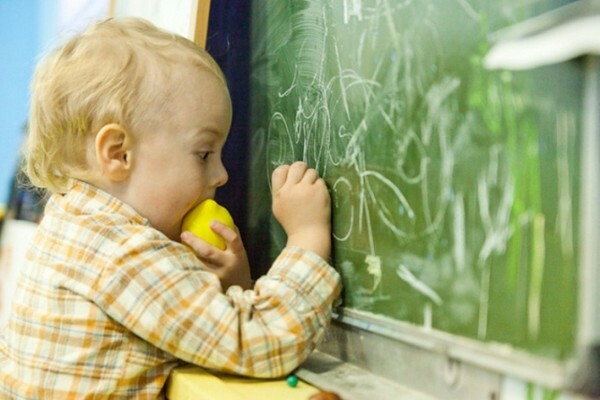 Buy an easel, a slate or arrange a chalkboard wall, on which your kid will develop his or her creative skills. 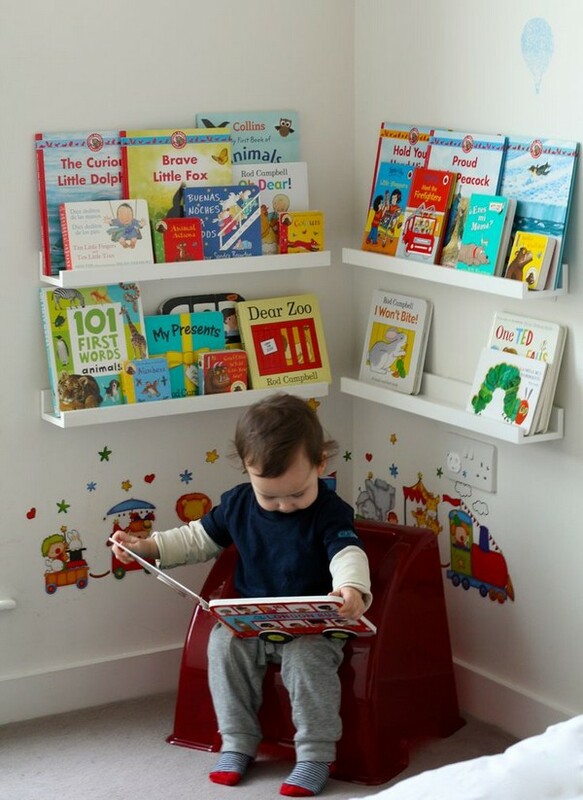 A safe and calm place for reading is essential. Put a cozy soft arm-chair in this zone. Here a baby may have a little privacy with his father or mother. 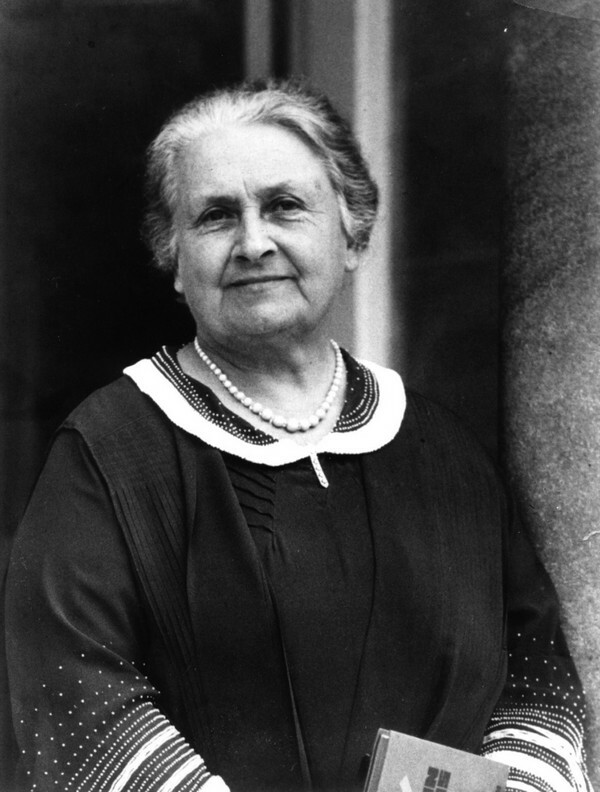 Besides, reading books before sleep helps parents build up a relation of trust with their babies from the smallest age. 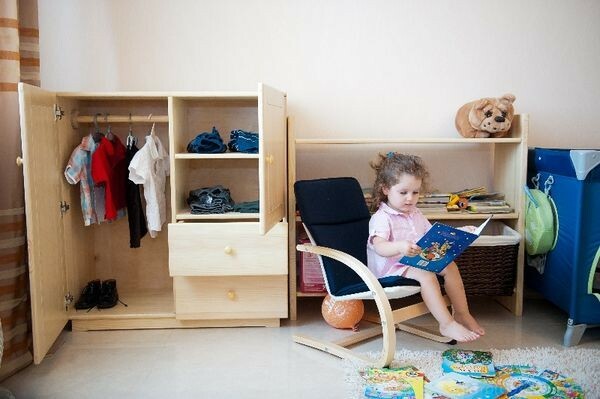 Just remember that like any other Montessori-style furniture, bookshelves must be on toddler level as well. Your kids are dedicated and enthusiastic learners who can reach the highest high if given some autonomy and independence. Support their desire to learn the world and create a nice environment for that!